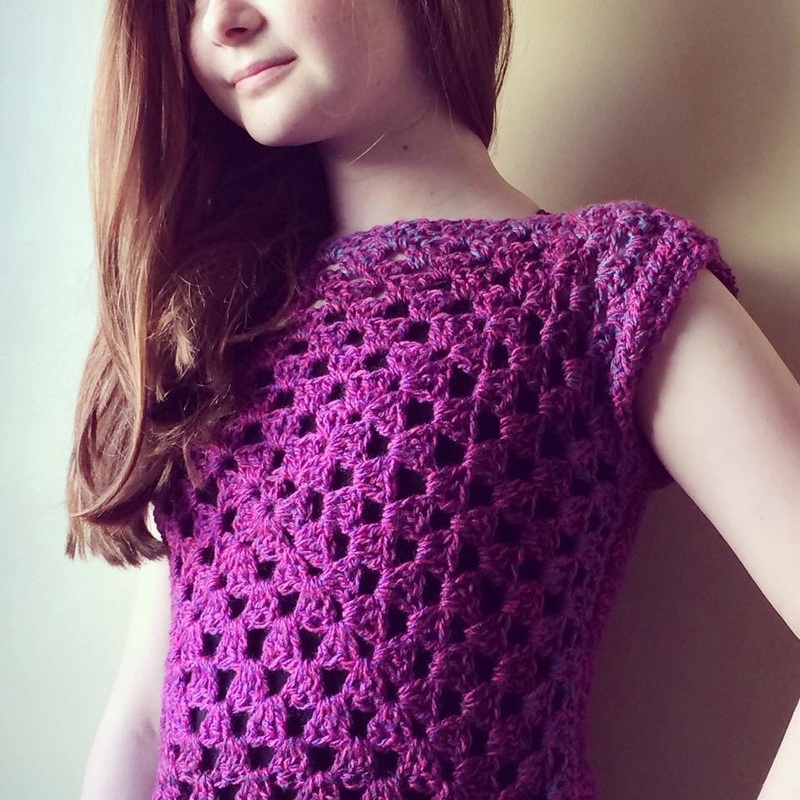 I’ve been experimenting with designing and making crochet garments recently – and I’ve been getting a real buzz from it. I’m not saying that they’re perfect or elaborate patterns but you’ve got to start somewhere and they’ve actually been turning out ok. So, I mentioned right at the bottom of my last post that I had something exciting happening this week. I hope you find it exciting, I find it very exciting, you might not though. Hopefully you’ll find it interesting if not exciting. We will just have to get on with it and see. I’ve been interviewed by Joanna of Adventures and Tea Parties as part of her Blog Gem series!!! 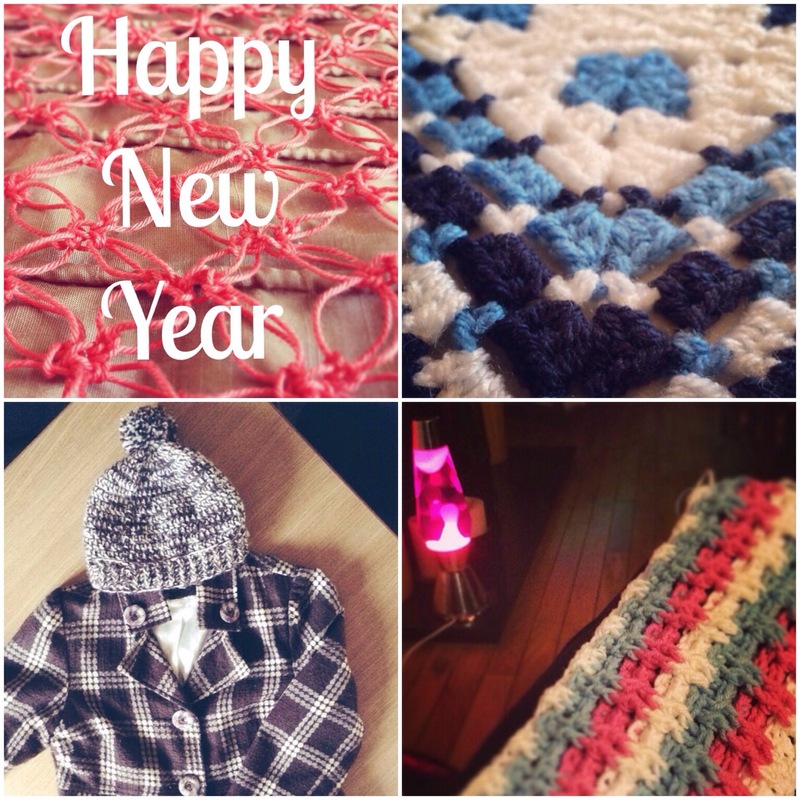 A very quick post to say HAPPY NEW YEAR and thank you for visiting and reading my blog in 2014. It’s very lovely to know that there are people all over the world that like and are interested in my crochet makes. 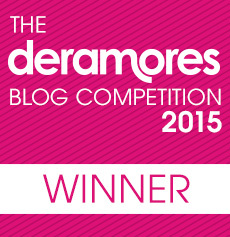 I feel extremely lucky and privileged that you take time to read my little patch of the blogging world – thanks! 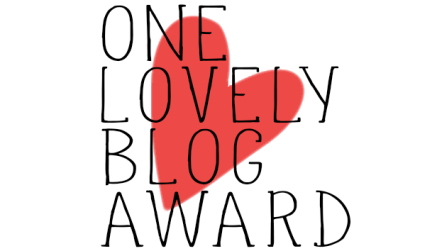 Finally I’m getting around to my One Lovely Blog Award post! It was such a great surprise to receive a nomination a couple of weeks ago from Sol of A Crochet Journey, particularly as I’ve been a bit quiet on the blogging and social media front recently. So, thank you Sol, it was super lovely of you to think of my little blog. Whilst the bunting preparation was underway, each member of staff was given a square of plain fabric to personalise for the school’s retiring administrator and then I stitched them all together to make a small quilt. It was going to be a wall hanging and then a table runner but with 30 personalised squares it ended up being too big (too big to get a decent picture – Yes, that is Missy holding it over the banister in the last photo in an attempt to get a full length shot!) so I’m calling it a quilt! I loved working on this project and finding out the stories behind each person’s square. Well – there hasn’t been a whole lot of crochet going on around here these last few months and I’ve been very quiet on the social media front because lately I’ve been working on something different – bunting and a quilt! And with not a bit of crochet involved there’s been quite a steep learning curve as I’ve never made either before. These were special top secret projects but I did share tiny glimpses on Instagram every now and then. Hi! Remember me? There’s not been much time for crochet lately or blogging either. I’ve been working on something a little bit different – not crochet related at all and it’s meant that crochet has had to take a back seat for a while. I have been getting a little crochet fix here and there though. 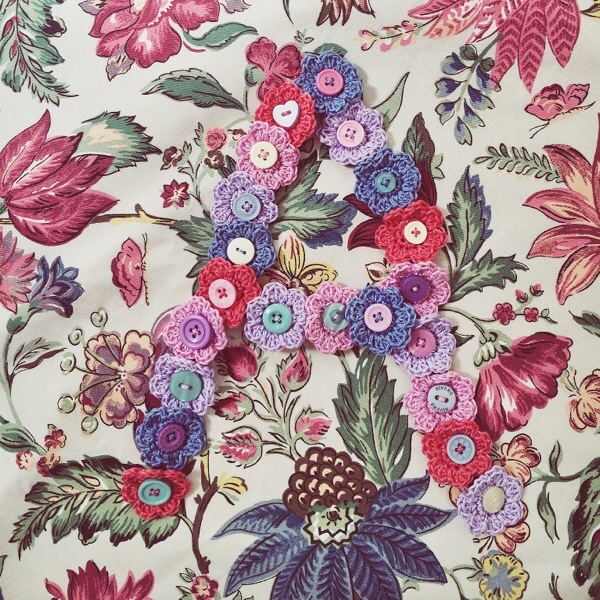 My crochet flower letter for one. I really enjoyed making this.